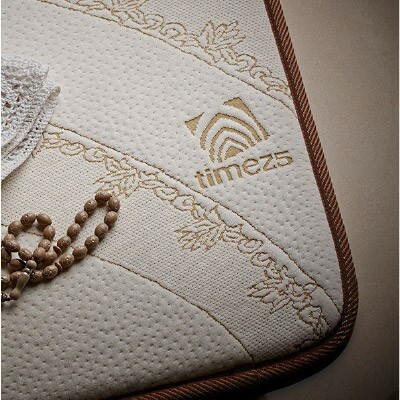 The TIMEZ5 physiological prayer mat is a NASA space certified technology product. It uses a 5-layer system with the following layers. 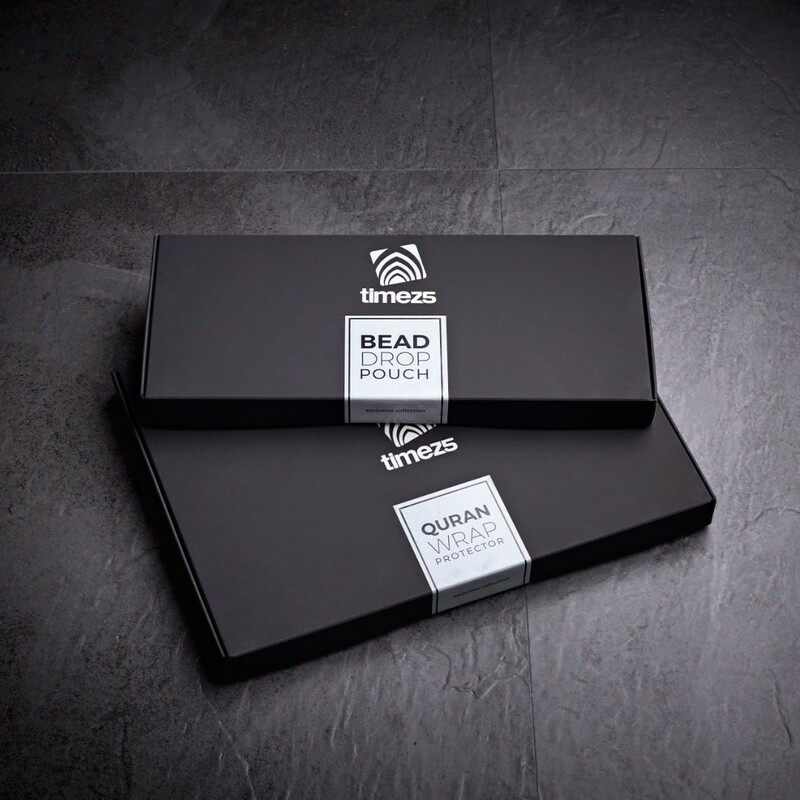 A hygienic microfiber surface to keep you soft, cool and clean. 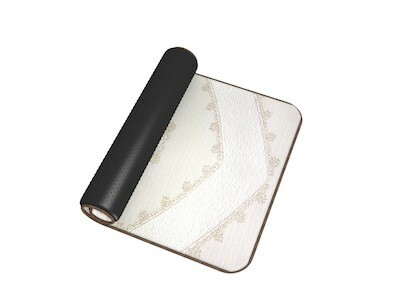 A weight absorption layer to relieve pain, and to support your posture. 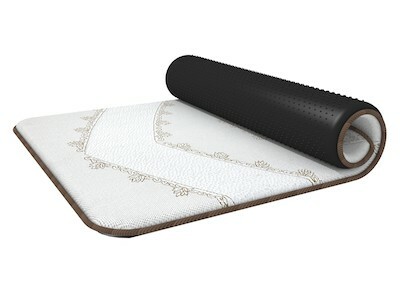 A weight-mass transfer grid to customize pressure relief, to your position, and posture. A bearing layer to prevent ground resistance. 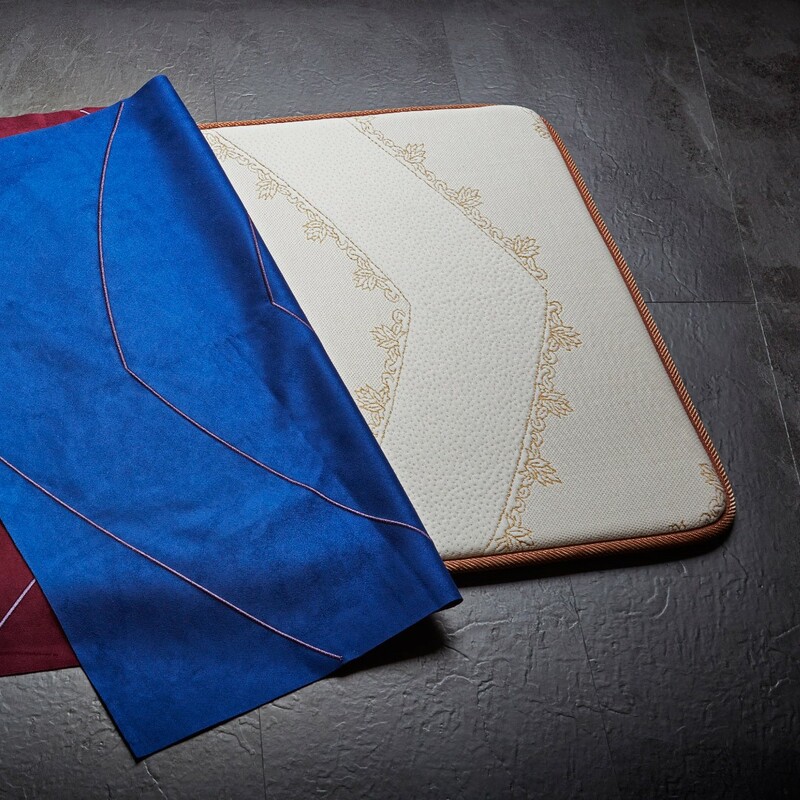 An anti-slip bottom to prevent slipping while praying or meditating. TIMEZ5 Polyionic hydrogel composite, and a Chronogenics antimicrobail surfacing. 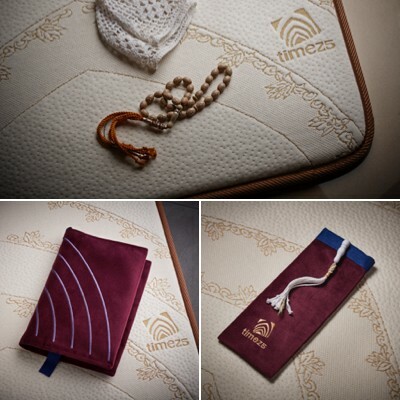 My cousin was visiting Dubai and bought the TIMEZ5 prayer mat as a gift for me knowing I had knee problems. The first time I tried it I fell in love with how it works and the comfort is unreal. Most important is my knee pain is much less, and I can spend more time doing my Namaz. It feels like I'm floating on clouds while I'm praying and I love the design. I learned about this NASA space technology prayer mat on Instagram and started to research about TIMEZ5. I then took the risk of purchasing it and have been very happy ever since. My mother, father and I use it together all the time. 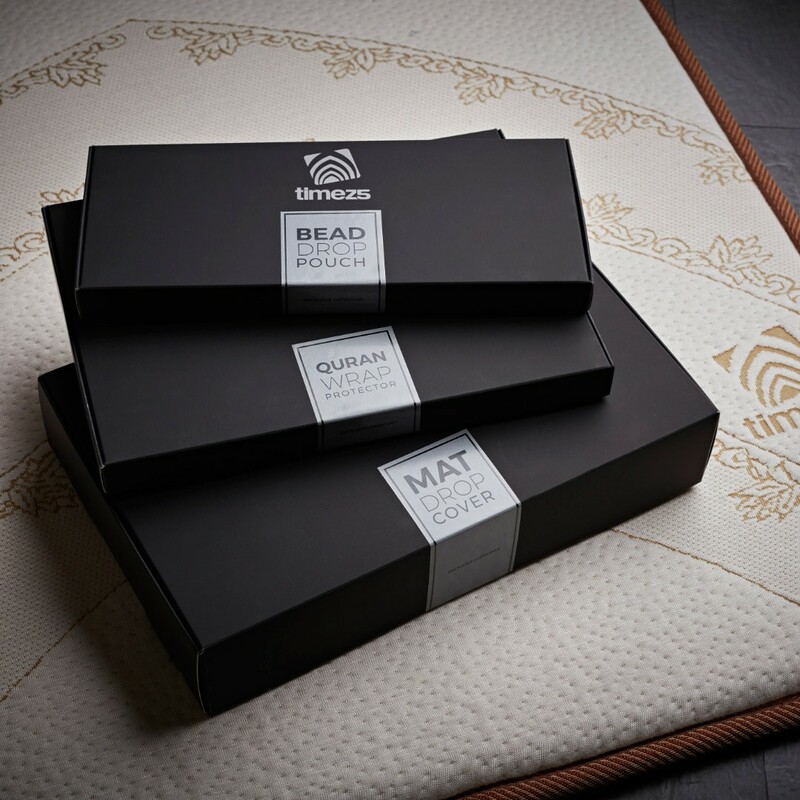 We are planning to buy a couple more for home, and we intend to go to Hajj next year and will be taking the TIMEZ5 prayer mat with us on the trip inshallah. I suffered from knee pain after a sports injury when I was a teenager and have had trouble praying ever since. When I first learned about this prayer mat, I could not believe the claims. Then I bought it and tried it, and I loved it. 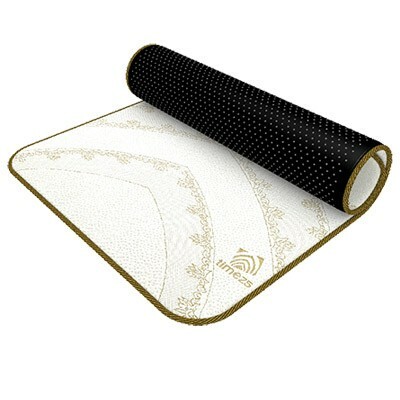 I have since bought the mat as a gift for six family members until today and plan to buy more. This prayer rug is excellent for people who have had an injury and even those who are involved in sports or regular physical activities. I first did not believe this was possible, and then I tried it at my friends' house, and I never went back again. 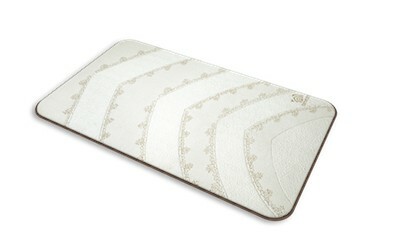 Once you start to use this you seriously will never use another prayer mat again. in fact it inspires me to want to pray on time, and more every day. I'm planning to purchase another one to keep at my office. 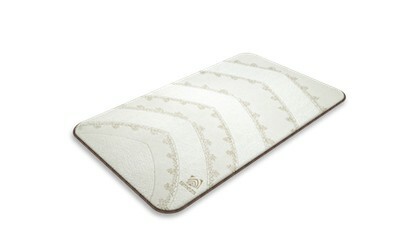 Cannot go back to a regular prayer mat after using this. I bought this for my mother for mothers day. Shortly after seeing my mom's ability to kneel again while praying I bought one for myself and had gifted the TIMEZ5 prayer mat to three other friends ever since.